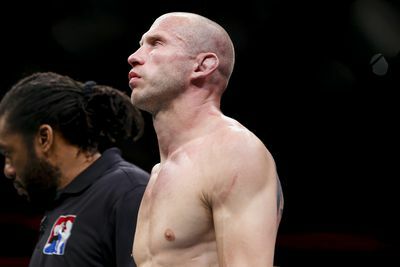 Donald Cerrone turtled up as Rafael dos Anjos rained down punches to his head. Some of them were blocked by Cerrone’s gloves and “Cowboy” appeared like he was about to get up. Then, referee Herb Dean came in to end the fight. Dos Anjos retained his lightweight title with a TKO win at 1:06 of the first round Saturday in the main event of UFC on FOX 17 in Orlando. But some fans felt like Dean stopped the fight prematurely. Cerrone (28-7, 1 NC) had won eight in a row coming into the fight, finishing five of those men. A title shot had been a long time coming for “Cowboy.” But, unfortunately for the fan favorite, it didn’t last very long. Dos Anjos landed a hard left hand, a knee to the body and then “overwhelmed” Cerrone with punches. Helwani asked him what went wrong and Cerrone replied “everything.” — from his warmups on. “Cowboy” said he couldn’t even find his gear earlier in the afternoon. It was just one of those days.